SWIMMING POOL HOME in time for summer! 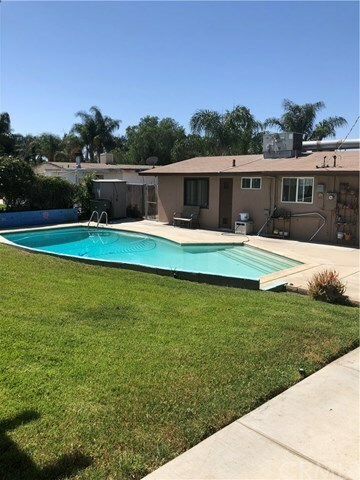 Spacious single story with 4 bedrooms/2 Bathrooms with amazing back yard perfect for entertaining! Located within minutes of 91 Freeway, Tyler Mall, Arlington Sports Park, Metro Link Station, Schools, Restaurants and several other shopping centers. House features include an open kitchen with large island for entertaining. Kitchen includes granite counter tops, stainless steel range, microwave and dishwasher. Hallway bathroom includes upgraded tile. Central air conditioning/heating unit, a living room and family room with laminate flooring. Master bedroom with built in cabinets for extra storage and oversized tile shower for easy access in master bathroom. Two car garage and RV parking on side of home. Will not last!